WASHINGTON—Speaking out on the legacy of one of the 20th century’s most towering figures in both sports and the civil rights movement following his recent passing, dozens of social issues reported Monday that they were extremely thankful they never had to go toe-to-toe with Muhammad Ali. 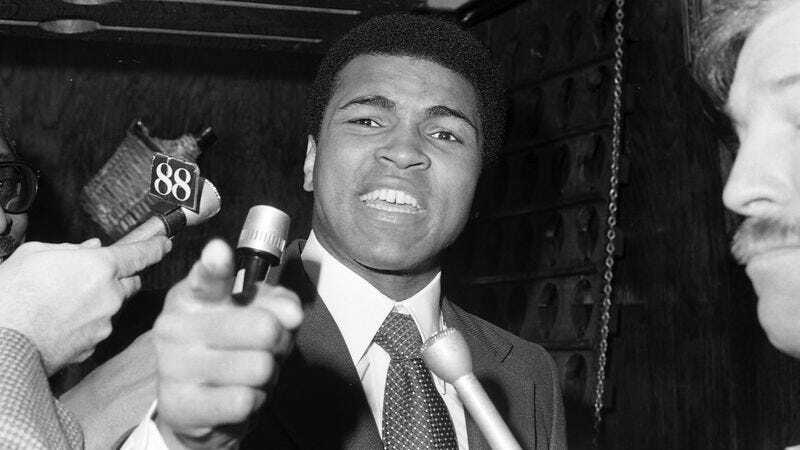 “Ali was absolutely ferocious—thank God we never had to face him, ’cause there’s no way we would have lasted,” said a representative for the handful of detrimental social ills that went unconfronted by Ali during his lifetime, including intolerance against the LGBTQ community, predatory lending, cyberbullying, and numerous other ingrained problems facing American society. “He was such a fierce, tireless opponent. He never let up even for a moment in any of his high-profile fights against discrimination or inequality. As a source of societal oppression, you just prayed you never found yourself up against someone like that, especially back when he was in his prime. God, did he ever do a number on racism and religious bigotry in the ’60s and ’70s.” The collection of social issues added that their only regret was feeling that, with Ali gone, there was no longer a competitor anywhere worthy of fighting them.